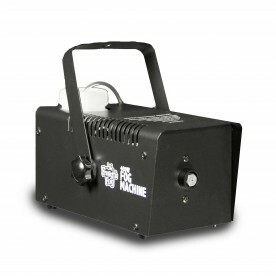 Wonderful Artificial Snow Flake Machine for indoor or outdoor use. 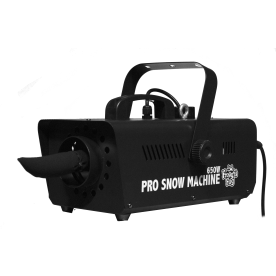 Perfect Budget Snow Machine for Indoor or Outdoor Use - Manufactured to the Highest Quality Available. 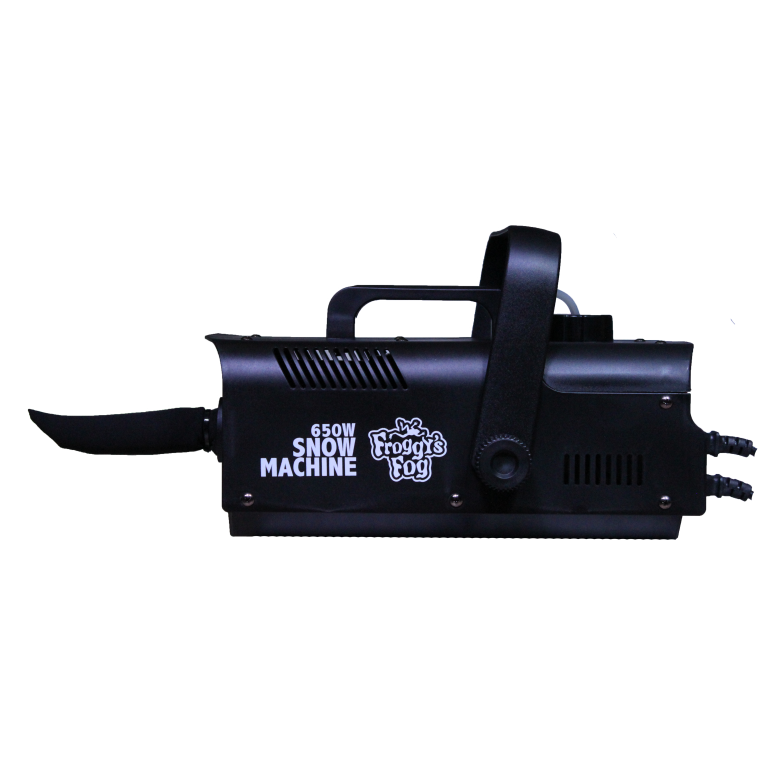 Wonderful Artificial Snow Flake Machine for indoor or outdoor use. 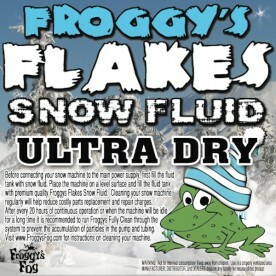 Use with Froggys Flakes Snow Juice (Sold Separately). 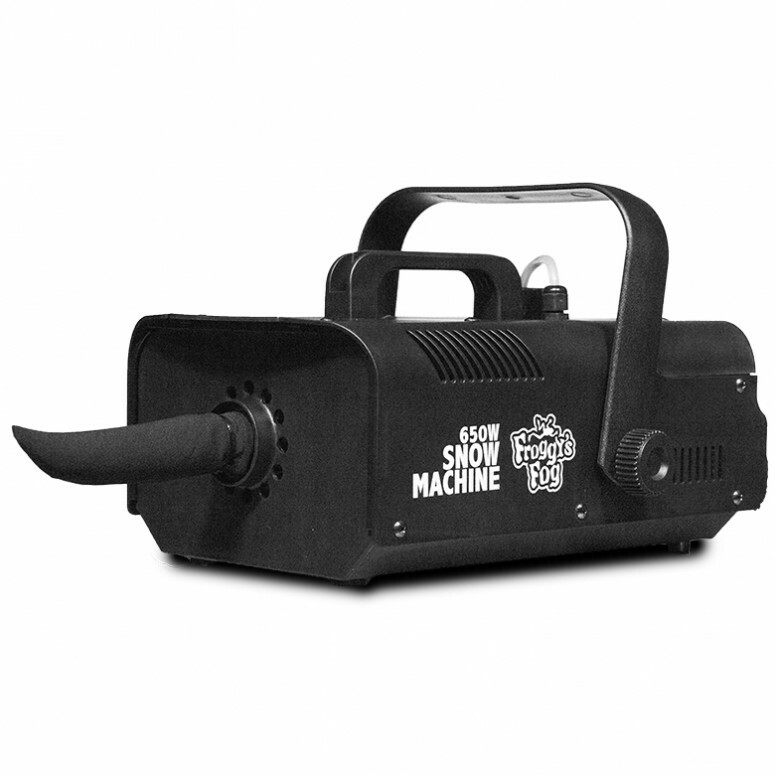 Lots of snow output, great for parties, Christmas, parade floats and other holiday events. 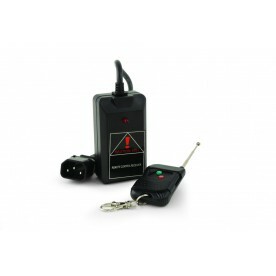 Tank capacity is 1.0 L and will last between 20-25 minutes running continuously with the standard On/Off Toggle Remote included with the machine. Timer and Wireless Options are also available. 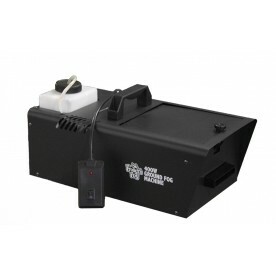 Snow Machine includes: Snow Machine, Remote Control, User Manual and ETL Listed 6' Long Black Power Cord. Requires Snow Machine Liquid (sold separately) to operate. Tank capacity is 1.0 liter. Snow Output: 80mm(3)/min. Please Note: Do not use for more than 8 hours continuously. To disconnect turn off switch on remote control. Use a properly grounded 120Volt AC outlet. Machine should be at least 20" (50cm) away from other objects. 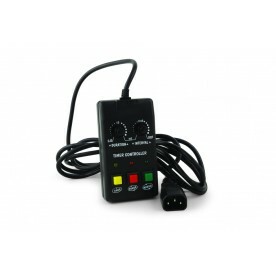 To operate, press the Rocker switch on the Remote Control. Clean unit after 40 hours of use. Cleaning Instructions are included. Snow Machine Unit sprays snow approximately 12-20 feet away from unit. For more information see the included instructions. Turn machine off when snow liquid runs out.